Ooh I love cave story and it looks like you're going for more of the emotionally epic story side of things that Cave Story did, so I'm hella interested. 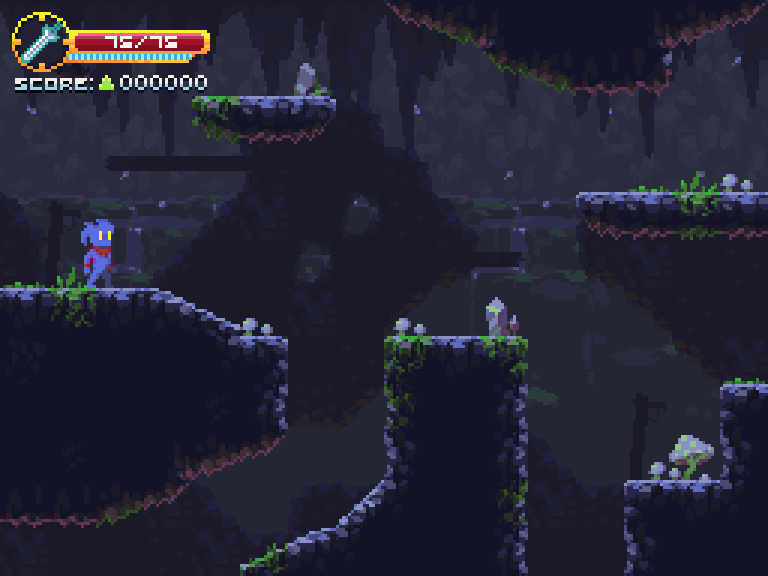 Yeah, I'm actually focused in that side of Cave Story with a metroidvania like gameplay mechanics, also, I wanna talk with Pixel/Nicalis to see if it is possible to add certain elements of Cave Story in the final game. Hope you like it when it's released!! I was so busy this week with exams and those kind of things, but I managed to work today in the first part of the game intro. 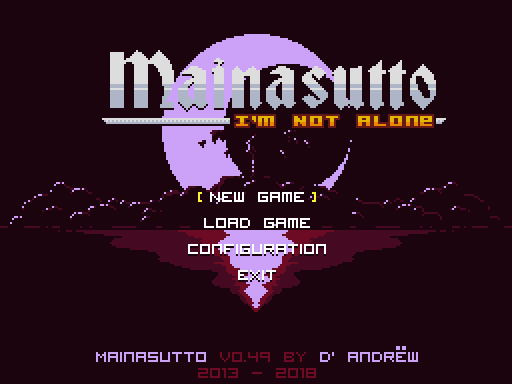 Also!, every track in the chapter 1 is done, and my composer wants to release the Mainasuto's Ch.1 tracklist in bandcamp, so, I'll update this message when them are in. also, I wanna talk with Pixel/Nicalis to see if it is possible to add certain elements of Cave Story in the final game. I'm curious what you mean by that. Are you just talking about Easter eggs and hidden references? Actually, I was thinking in hidden references more than easter eggs. Also, I recently uploaded the last sketch of game intro, I need to clean the sketches and it would be ready. So, first of all, I want you to know that I'm gonna start to do this devlog's entry in a video format and publish it like some kind of serie in my youtube channel, so, if you're interested, you can take a look of this. Since september 19th, a lot of things happened and were added to the game, bosses, rooms, textures, new mechanics, and some things that I'll save to the first episode of the video-devlog. So, I'll start for the first. I worked in some kind of Project Schedule according to my free time, and how much I could advance in Mainasutto on certain dates, so I did a small scheduling of certain events. Yeah, as you can see, I haven't plans to finish the game before 2018 (u know, it's hard to be indie), but I have a few plans to do in that year, like another public demo and a Kickstarter/crowfunding campaing. You can listen it on bandcamp for free, or watch the playlist on the youtube video below! Also, I don't remember if I told you, but I created a playlist on youtube called "Reference music to Mainasutto", so, there it's if you wanna listen it, maybe you will hear some similar tracks to the ones in the album. Also, as you can see in that gif, I added a new kind of blocks of (8x16)px and some mid-slopes to create better caverns and nature-kind of rooms. You can see it in this image below. 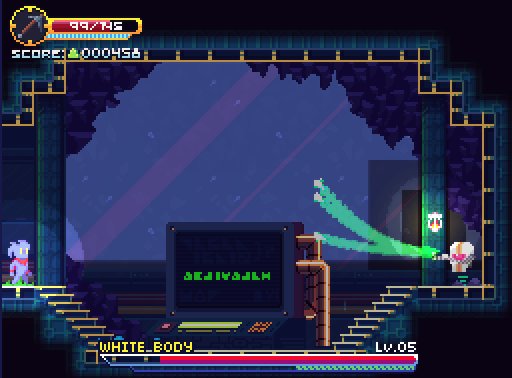 Leaving a bit of the prologue, I finished (almost) the work with the first sub-boss, White Body. As you can see in the gif, there are still errors like black bars, but the truth is minimal. As you can see in this image, it has 5 different attacks and... Well, that's all. 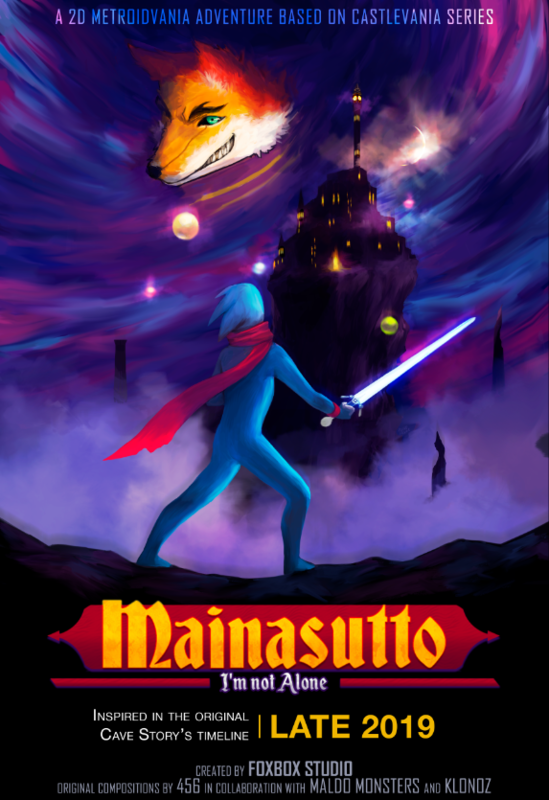 The release poster to present in showcases. Also my idea was to start doing devlogs on video, and in fact, I already had an intro made for these, however, I did not take the time to record shots and / or write a script, so I'm willing to listen to tips respect to be able, finally, to make short videos. To those who already do this, how do you do it? How do yuo plan it? Do you just improvise in front of the microphone or do you have any script? Do you have examples to inspire me?, feel free to share their video-devlogs if so. And thanks to this post, I started working with the magnificent Elisha Ramos on all that is tileset and backgrounds, unfortunately, due to an NDA that we signed, I will not be able to show you anything until next month, however, I promise you will be surprised with progress. Now, regarding gameplay and what probably matters more. I will show two advances now, and the rest I'll upload them daily so that I don't have this post "left" and without updates any longer, but remember that everything that will be published in maybe next week, is only content that has been added in the last 3 months. I was recently playing Hollow Knight and it surprised me a lot, especially because we follow the same concept of linearity of scenarios (Cave -> Deepest cave with crystals -> Underground garden). However, there is something that caught my attention even more, and it was the death system, which besides simply having to return to the last save point, penalizes you by creating a new enemy in the area where you died for the last time, and the one that at the same time, owns your "progress" so to speak so as not to spoil anyone. I applied this same concept in Mainasutto, but in a somewhat different way; an enemy is also created at death, which is a silhouette of the player, however, this enemy has the base stats of the player as their own stats. In addition to dying you "SCORE" is reduced to 0, and the only way to recover the score you had is by defeating this enemy. Once this is done, you are given a stats boost depending on the number of times this enemy has appeared (starting at 100% extra and then dividing by 2 for each time it appears). Here you can see a view of this enemy in action, it does not seem to do much damage at first, but, the more times it appears, the damage is even greater and your advantages are lower. At the moment I write this, the prologue is already more than completely finished, however, I would like to tell you about everything that had to happen and the 3 different versions it had before reaching the final version, however, that It's history for a video-devlog, hahaha. Even so, I want to leave you with one of the most beautiful views that the final version has, next month I will upload it with the new graphic so you can compare it for yourselves. Oh yes, by the way, I think I've said it before, but if you do not know, the protagonist of the prologue and who will play, is no one else or anyone but Kvol (protagonist of Graveyard Garden). 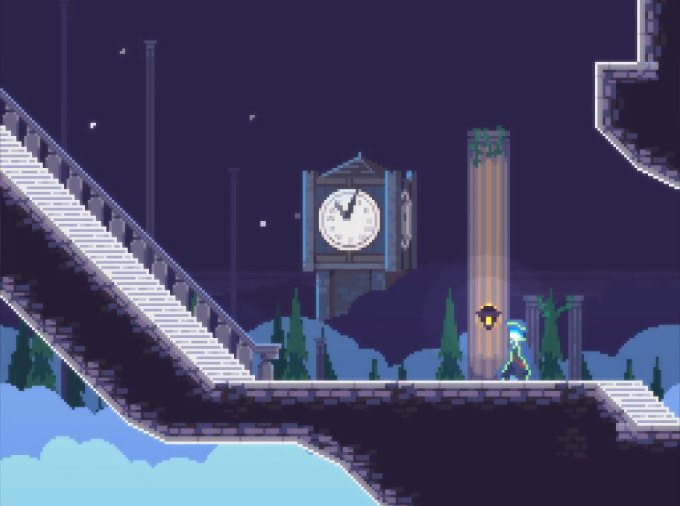 Well, that's all for today's update, I will continue to do the updates in this style for a few more days, showing progress and what I said before, so be careful, especially the beta testers, because in a couple of days I'll send you a demo of the final version of the prologue. As I said yesterday, I will continue uploading the improvements in the same format on a daily basis. So... Enjoy! Recently I began to question how to makes it feel even more tense at the moment of having to make a decision, as well as being able to convey some expressions of characters that can not be given to the player or other NPCs during decision making. so inspired by games in the Megaman ZX saga I decided to make a similar system for certain dialogues and important moments in the game. So, I decided to adding it to the dialog box code, but it was a mess. To be honest, I had to rewrite many parts of the code in the dialog boxes just to add this feature. However, I liked the result quite a lot. 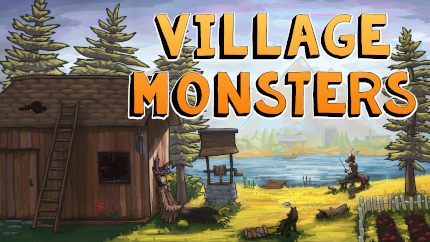 Here is the next devlog entry. I'm sure you'll be interested to know this if you're a novice dev or have never applied particle systems to your projects! This is a topic that I really would like to expand on, because it's a mistake that many devs make for not wanting to leave our comfort zone, as you can see in the title, I talk about particle systems. While there are different ways to create one of these, not all are optimal and some are simply unnecessarily complicated to do the same as you would with a traditional or integrated into the engine you are using, this is my case and how I managed to reduce up to 8000 Instances per room to only 1 thanks to the particle systems. 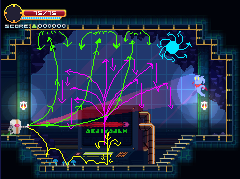 As you can see, the save animation generates a lot of particles which move in different directions and create a trail of particles of a particular color each, not randomly. This process during several demos was called by the testers as "the benchmark of Mainasutto", because if your PC ran this animation optimally, you could run the rest of the game without serious FPS drops. As I mentioned before, due to staying in my comfort zone, this animation was generating it by 1 object per particle, including those of the trail that they left, so that approximately 4 frames were generating 144 new objects on the screen, each one with its own variables and colors, using too much CPU and basically, for PC low-tier (PC from 2012 or before) the FPS could drop from 48fps to 2fps and even 1fps (Actual experience tested on a PC of that time). In addition to this, we must say that the game was also creating as separate objects the yellow particles that float in the cave, and the trail left by the player to move, with all this at the time of saving, exceeded 8,000 and even, in moments reached 10,000 instances per second during the save process only. 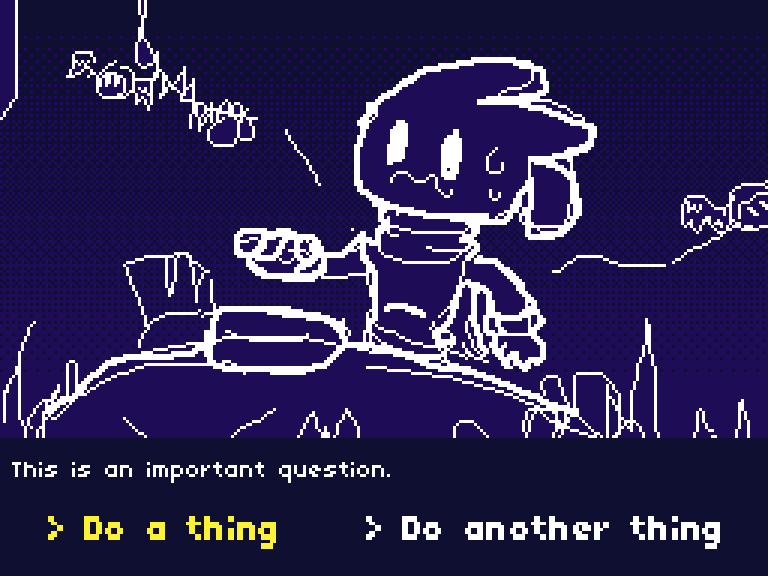 I realized this quite a lot, but it was a topic that I did not want to touch since I did not have much experience in particle systems and I had never really used the integrated ones in Game Maker. 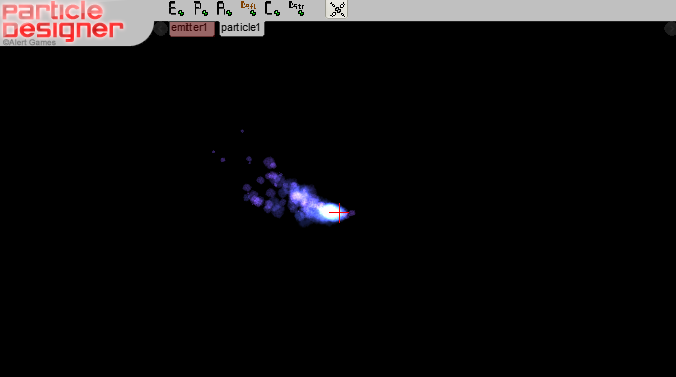 However, a week ago I gave myself the time to spend all day learning about it and thanks to both this article and the Particle Designer 2.5 program I managed to replace all the objects with a single global particle system, which brought with it many benefits In performance for the game on low-tier PCs, the most notable is that now instead of drop the FPS up to 2fps or 1fps, this simply does not drop more than 1fps during the whole process, including now, unlike previous demos, it's generated in 2 different views due to the radial blur shader applied, and the book of the center is also animated when saving. Another thing to note is that by using this system for the whole game, I have been able to generate a better trail for the player, which is longer and can be seen better in movement (seen at the beginning of the video on the left), including also that thanks to this less instances are generated, so much less CPU and RAM are needed. This being one of the biggest benefits, lowering the RAM usage of the game from ~60MB to an average of 7MB. And well, really that's all for the moment. Being honest I hope I can help someone with this entry, because the particles systems, besides looking good, help a lot to the performance of your projects and in the long run they are much easier to apply than to be generating a new object for everything. But hey, here we go with a couple of updates that I couldn't upload before. In addition to starting my work with the particle systems, I started playing with illustrations and in-game animations, you can see the result of one of these games below. I was supposed to ask if I used those portals as decorative in the transition rooms, however, I improved them and ended up using them in the prologue. You can see it below in the April showcase. Well, every good game needs NPCs to feel alive, and every good player needs secondary quests to distract themselves, so I implemented a couple of random NPCs during the progress. Among them is this one that mysteriously appears when you step off a bridge, but that was not really supposed to appear there (it's a bug tbh I'm looking how to fix it hahaha). On April 7th, 2018 I did a showcase of the prologue of Mainasutto, showing what was currently worked on this extra chapter and a couple of other things, and that although I only tell about on the Facebook page, it had a very good reception and a lot of people commented on it. Also, here you can see the final version of the portals that were going to be used in the transition rooms. You can take a look below and comment on what you think. But, it's in Spanish, so maybe you won't understand at all. To the gameplay, watch the minute 16:09. I think that's all for the moment, I saved two updates that I published at the time on Twitter for the #ScreenshotSaturday. Perhaps I'll publish them during this week, this time I won't promise dates, nor will I say that I have returned, hahaha. As you know, I was testing a new cutscenes system for certain events and presentations of important characters in the story. And with this I decided to redo the main cutsene of the beginning of the chapter 1, including a system of "self-movement" in which the player has no control of the actions of the character on the screen. You can also see a couple of changes in the graphic part at the beginning of the gif. Another not so notorious change, is that now you won't choose the name of the character until this cutscene, so during the beginning they will call you in another way giving a little more knowledge of the story of the character you use. This has so many of the little elements that I love about Castlevania. It makes me crave Symphony of the Night. Great work. I always tried to add these touches of Castlevania, especially Symphony of the Night, since it's my favorite game, hahaha. I'm glad you liked it! The demo really is not much and it's pretty outdated (I think it's been almost a year and a half), however, I'll try to upload a new one in July. I added a particle system in the prologue to signal a bit of warmth and that "epic in-coming" feeling, and to feel a sense of wind above the clouds. In addition, I added a layer of clouds from the front, to give a greater depth effect. I think the prologue it's done now with this, so... That's it I guess. Recently I had little time to advance in the game (because I'm in my last weeks of the university semester), so instead of moving on things regarding plot or story, I focused on fixing a couple of visual details. I realized that although the skills (or combos as I previously called them) were already included in the game, there was no concrete way to know when one of these was activated, for example, in the case of the "Ultra jump" , you could only see that the character was jumping a little higher, but it didn't show that he was completing a sequence of keys for a skill or something. Same case with the "Rotating Sword Dash", which only showed the player advancing faster in a straight line, but didn't show the sword spinning or any similar visual effect. So I decided to add a couple of sprites and shadows that are drawn on the screen every time the player makes one of these skills. You can see in the little bit of inspiration of Castlevania SotN in these two specific skills. Hey everyone! I'm alive and this project too! Many of you know that this is one of the oldest battles and that is from the beginning of time in the project. However, I have given myself the time to re-do it again, once and for all. In the following video you can see what the battle was 3 weeks ago. After this, and send it to the beta testers, I gave myself the time to fix and improve many things, one of them was the HUD of the "generic" boss, and as you can see in the image below, it was much better. Another thing to note is that during this time, I also gave myself the time to modify the menu. A lot of you maybe have seen it in videos, and those who have played the builds or demos of the community could notice that with the time that one passes in the menu, the color of this one turned from violet to some kind of dark-green colour. I redid this code completely since I never really liked the result of the mixing of colors that was done with alphas, so I generated my own color mixing code using the RGB values, and the result was more than satisfactory. In addition to that last, and to fit better with the development of the game, I changed it from purple to green, to purple to red. You can see the alternative menu version with red palette below. I also made a call for beta testers in Spanish of the project, so I generated a discord community so that all those who are interested in knowing more about the project, being in touch with me, or seeing the updates in real time , can meet and participate. In addition, I usually ask for opinions and show progress, or show discarded things in this channel, in addition to having a daily changelog of what is being implemented, removing, changing, arranging and ideas that may be useful for later. So, that's all for today, the following days I will be informed about the updates that were in July, if you want to know everything in advance, do not hesitate to join the discord community, or follow the official Twitter account of the project. Another thing that I worked on at this time are the different types of weapons and enemies. 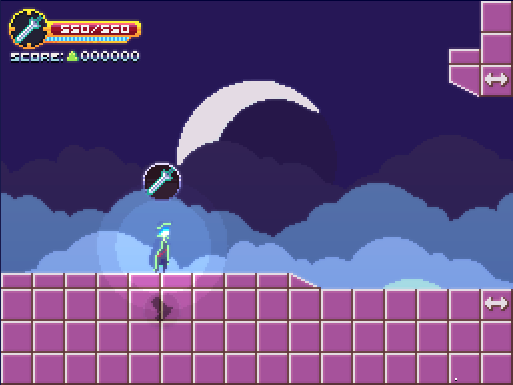 In this case, besides working only on one of these or doing them separately, I gave myself the time to make a connection, an enemy that throws boomerangs, and that has a percentage of dropping a boomerang too. In addition, working the mechanics of the boomerang that may be used by the player, and due to a bug, it didn't disappear when returning to its initial position, so I gave the characteristic that when returning to this position, the player could grab it again and use it We could say that "I transformed a bug into a feature", although much of this game is exactly that hahaha. So well, inspired a bit in GoW that I was playing again recently, I set out to generate a system of interactive kinematics necessary to advance in certain moments of the main story, and the result was something like this. I hope to soon be able to add bars that can be filled with "button smash" among other things like camera movements.